I have a special love for baked goods with Dates.After all,my first bake was this Eggless dates cake which I must have baked like a hundred times.It is one of my amma's fave cakes and I make sure I pack some for her whenever I am going to my hometown.I have been planning to bake a Sticky Dates Pudding Cake with Caramel sauce and that is soon gonna feature here!! I had some super soft,melt in the mouth Dates in my fridge for a while and the effort I put in to pit the whole batch made me a bit careful of what I did with them.Sometimes,when there's nothing sweet to have after lunch/dinner,I keep a few dates in a MW safe plate and MW for a minute or so.I close my eyes and relish the taste from the first bite to last..YUM!! After reading Aparna's description about this Dates Cake from the famous bakery in Goa,I felt it was time to take out my Dates box.Since I am in a show off mode,I baked it in my Bundt pan.It takes me a while to photograph and slice the cake coz I am so immersed in enjoying the beauty of the cake when baked in a Bundt pan!!! I used Almonds instead of Walnuts,but otherwise,did not make any changes. Put the dates in a slightly big bowl (you'll be mixing the batter in this) and sprinkle the baking soda over the dates. Pour the hot water over this so it covers the dates. Keep aside for about half an hour till the dates soften up and the water cools down. Stir in the sugar, egg, butter and vanilla into the date mixture. Sift the all purpose flour and the baking powder together and add to the bowl along with the walnuts. Gently mix in this in till everything just combines. Spoon the batter into a greased and floured (or parchment lined) 7" round cake tin. You may use a loaf tin if you choose. Bake at 170C for about 50 minutes till cooked or till a skewer inserted into the cake comes out clean. Very well made cake dear...love the pics...tempting!!! Beautiful looking cake, Divya. I love how moist and soft that slice looks. Wat an excellent looking cake, dates and nuts, never say no to them..
Looks wonderful,I have been thinking for long time to try cake with dates,nice entry for the event! I have dated here home always as i read in jugalbandi they are good ay of getting your doze of iron, but instead of eating the they just sits there , should make a cake out of it. Cake looks really moist and yumm. Looks AMAZING!!! Ummmm...definately gonna give this a try!!! This cake looks AMAZING!! Definately gonna give this a try!! Looks super moist and delicious.Would be perfect with my cup of tea. wow, that looks mouth watering, what a deep rich color. There is something about a bundt pan that I love - your cake only confirms that one more time! Looks gorgeous! cake look so delicious and love the nuts peeking..love the click!!! 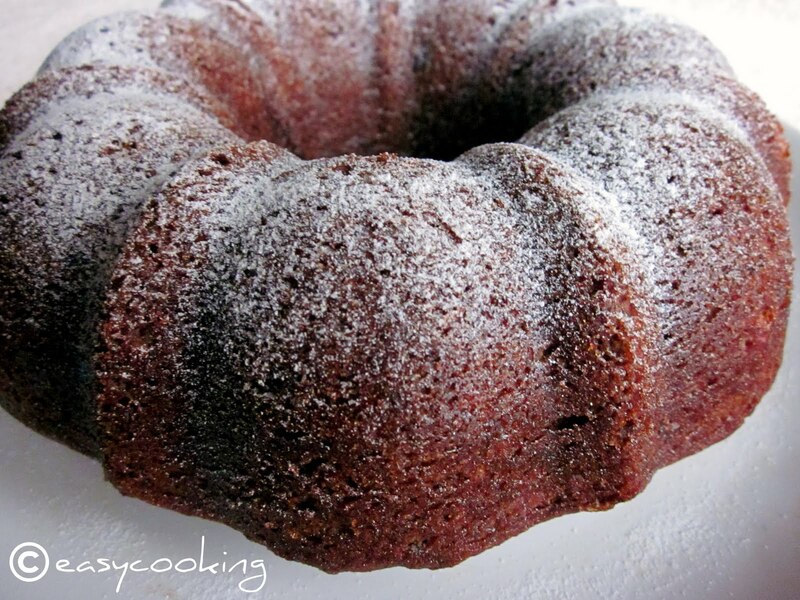 Whata gorgeous, nutty and yummy bundt cake. Excellent! Looks soft and delicious. perfect texture. U bet these pans make cakes look terrific and instantly dress them up!! Am waiting to get mine so that I can try the scores of cakes I have been dreaming of.. Haven't eaten a dates cake yet, am sure it tastes good..
MY gosh..that seriously looks very sinful divya..btw love your header..looks very cute.. I wanted to post a comment as soon as I saw this cake, but didnt happen. Finally, I loved everything about the cake, the colour, texture...it looks super moist. This is a particular favourite with my husband. Your cake looks perfect. You should come down here and try the original. Thanks for trying it out.